91.5 KIOS-FM Omaha Public Radio provides the best in public radio for eastern Nebraska and Southwest Iowa! We provide the best in news programming, both local as well as national and international, from NPR, BBC and our own news department. We are the only consistent source for jazz, providing nearly 40 hours a week, as well as blues, folk, alternative and bluegrass. 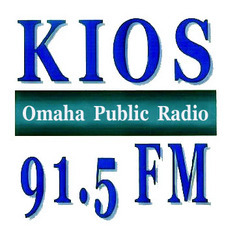 91.5 KIOS-FM is Omaha Public Radio!